Peridot is known as the extreme green gem. Its olive green tones make it a breathtaking gem with an interesting story. Whether you own a peridot birthstone or other piece of interesting peridot jewelry, you might wonder where this gem comes from and it various mentions in history. Found in lave and deep in the Earth’s core, there is so much more to this green gem than you might imagine. Keep reading to learn all about the peridot meaning, history and so much more. This beautiful gem has a very rich history that seems to date back pretty far. Records show that the Egyptians mined the Peridot on the ancient island of Zabargad, located near the Red Sea. This location is the origin of many pieces of peridot jewelry found in history museums around the world. To this ancient civilization, the peridot was very important. They called it the “gem of the sun” and treated it with the upmost care. It was used to make jewelry of all kinds, from ornate to simple. Many of this historical jewelry has stood the test of time and has been preserved to last for future generations. The nickname “gem of the sun” is actually very revealing of peridot’s creation. Scientists believe that this yellow-greenish gem is actually remnants from the creation of the solar system. In fact, peridot comes from the mineral olivine which is found in the Earth’s upper mantle. Research shows that it is created from lava or magma deep in the Earth’s core. Further evidence of peridot’s prehistoric existence is the findings of peridot traces on meteorites. 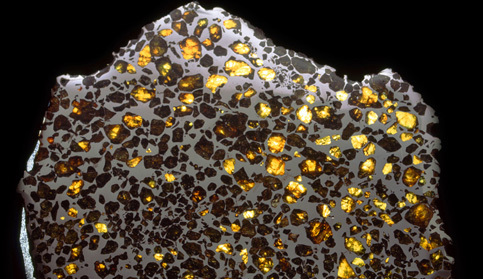 Fragments from pallasite meteorites created 4.5 million years ago have been discovered to contain the stone. This incredible gem has possibly been around since the world’s creation. No wonder it is held with such high regard. Peridot can come in a range of green. From dark green to yellowish green, how do you know which is the highest quality? Experts say that an intense green resembling the color of grass is a good indicator of high quality. The darkness of the color actually depends on the amount of iron in the gem. This gem has some unique properties, such as is extremely high refraction index. Rated 1.65 to 1.69, peridot offers an interesting view when examined closely. Using a magnifying glass, you can actually see double pavilion facets. It also has a specific gravity of 3.34 and MOHS hardness of 6.5 to 7. Made of of high levels of magnesium, this form of olivine is also known as forsterite. Its chemical formula is Mg2SiO4. With such a rich history and existence, the peridot meaning is equally as rich. Many people simply think of of this gem as a peridot birthstone since it is commonly made available. However, this gem is much more than that. It is created by the heat and fire in the Earth’s core. It is developed in the Earth’s mantle and is slowly brought up to the surface by lava. This incredible birth by fire is only shared by one other gem, the highly regarded diamond. Peridot has also been found in meteorites and is believed to have an extraterrestrial existence. A common peridot meaning held by ancient civilizations is that the gem was brought to Earth by an explosion of the sun. This grand transfer is said to have give peridot healing powers. This association with the sun has led many to believe in the metaphysical powers of the peridot. Mental stimulation and physical rejuvenations are two commonly held beliefs of peridot meaning. It is also considered a warming gem that will allow the user to open their mind to news ways of thinking and revelation. Several believe that peridot will allow users to discover their purpose in life and true spiritual destiny. The peridot meaning has been held so highly in ancient civilizations that there have been several pieces of peridot jewelry that are considered famous or important. Most of these priced pieces are from the Zabargad island and mined by ancient Egyptians. The Chicago’s Field Museum is home to the 154 carat Zabargad peridot. It is completly flawless and is pristine condition. It was first sold at the World’s Columbian Exposition. The gem now resides in the museum for viewing. While the Zabargad peridot is an extremely large gem, another ancient peridot mined in the same area many years ago is even larger. The Smithsonian Institution’s National Museum of Natural History is home to the 311.80-carat peridot. This gem is truly a sight to see. Not only for its sheer size, but beautiful green tones. Another historical piece of peridot calls London’s Natural History Museum home. The Esquel Pallasite consists of three peridot crystals inside a fragment of this pallasite meteor. As discussed above, peridot has been found in meteorites and proves that it could of been around when the solar system was created. This specific meteorite was found in Argentina back in 1951. It is now regarded as priceless artifact. It is important to note that while the mineral olivine is commonly found, peridots are rarer to come by. Due to the Earth’s unstable condition, olivine is found on the surface in grains. This weathered pieces are too small and weathered to be used for decoration or jewelry purposes. They are rendered useless. Most of today’s peridot is usually mined from large crystals of forsterite. Despite rarity, peridot is still mined around the world today. In the United States, peridot is mined in Arkansas, Hawaii, Nevada, New Mexico and Arizona. There are also several other locations around the world, such as Brazil, Kenya, Mexico, Pakistan, Norway, Australia and several other places. Many experts have noted that peridot is sometimes confused for other green gems, such as emeralds. Peridot is a beautiful gem with a rich history and deep meaning. The peridot meaning is highly regarded in the metaphysical realm, as well as the scientific. Its role in the history of the universe is interesting and we should celebrate this gem. 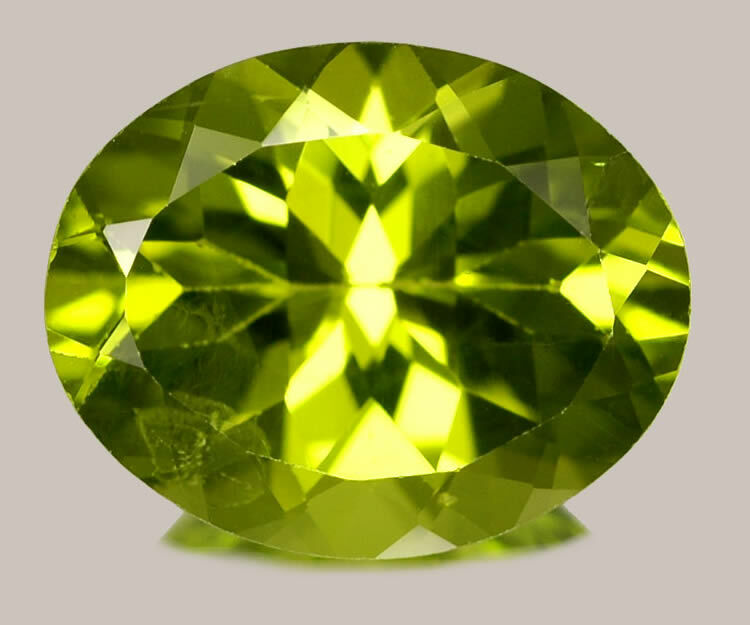 What do you find interesting about this green gem? Share you thoughts in the comments below. Hey Buddy!, I found this information for you: "The Olive-Green Beauty: Peridot Meaning and Uses". Here is the website link: https://accessgems.com/peridot-meaning-and-uses/. Thank you.